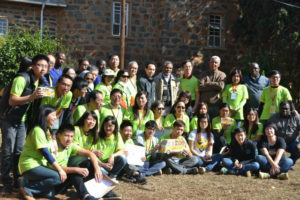 The Diocese of Taichung, every year sends a team of 32 people which consist of Catholic medical students and qualified Doctors. They conduct free clinics at different communities where Caritas is operating and also donate clothing to those in need. 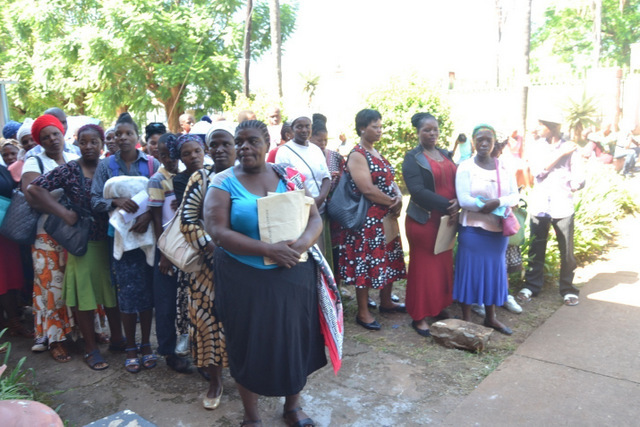 Last year (2015), the team gave free medical services to more than 600 people in Sitsatsaweni NCP, community members at Ndzingeni Nazarene Schools as well as community members in surrounding areas. The children and few community members were given treatments for different diseases such as skin diseases, HIV testing, ear and eye problems, stomach-ache and headache. Elderly people were treated for back pains, blood pressure, ear and eye problems as well as knee problems. They have confirmed that they will be rendering the same services again this year (2017) between June and July. For all the Monitoring and Evaluation, and service deliveries to the NCPs the money for fuel comes from the Government subventions. Every beginning of the year, the program assists the Bishop of the Diocese of Manzini with the identification, selection and distribution of school fees for the most vulnerable secondary and high school students. This current year (2017), there were 298 students coming from all corners of the country that were assisted with payment of part of their school fees. The subvention assists in taking care of some of the expenses during this exercise.